Microsoft Corporation’s marketing mix is a showcase of how rapid innovation combines with effective approaches to maintain a strong share of the market. An organization’s marketing mix or 4Ps (Product, Place, Promotion & Price) determines the strategies and tactics for implementing a marketing plan. In this case, Microsoft uses online technology and technological measures to protect digital products. As a major competitor in the computer hardware and software market, the company enjoys high revenues. However, competitive rivalry and related issues, as shown in Microsoft’s Five Forces Analysis, threatens such market position. To ensure continued success in the global market, Microsoft must match its marketing mix with the characteristics of target markets worldwide. An effective marketing mix (4Ps) enables Microsoft Corporation to maximize its sales revenues. However, an evolving marketing mix is necessary to maintain the company’s position in the computer hardware and software market. Microsoft’s devices include hardware products, such as personal computers, tablets, Xbox, and Windows phones. On the other hand, the company puts systems software or basic software under the Software category. For example, such software products include Microsoft Office and Windows OS. In the Apps product line are other free and proprietary software products from the company, as well as from third parties. For example, these apps include Microsoft Remote Desktop (from Microsoft Corporation) and the proprietary Drawboard PDF (from Drawboard). The company keeps a percentage of all revenues generated through sales of third-party apps on Microsoft online stores. The Games product line covers the Xbox games, Windows games, and related gaming software. In the Entertainment category, the company also keeps a percentage of all movies and songs sold through its website. This element of Microsoft’s marketing mix reflects the increasing diversification of the company’s products. 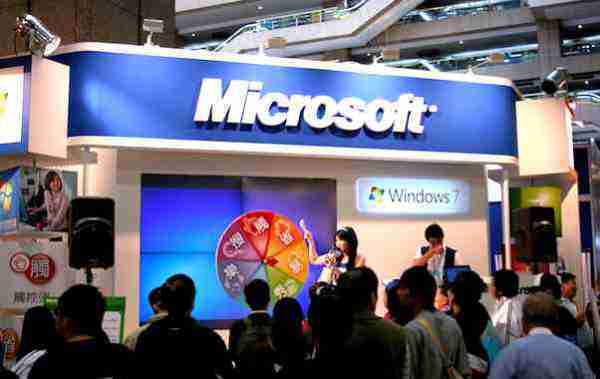 Such a condition is connected to Microsoft’s generic strategy and intensive growth strategies, which emphasize growth by penetrating markets and providing attractive products. Customers can access, purchase or download software products through Microsoft’s official website and online store. At present, this online place is a major avenue for the company’s revenues. In addition, the firm’s authorized sellers provide a direct approach to sales and marketing. These sellers, typically located in strategic commercial areas around the world, enable the company to reach target markets. On the other hand, Microsoft Stores are physical retail stores where customers can access a variety of the company’s products, such as smartphones and Xbox units. These stores, although limited in number, are another direct approach to marketing, enabling the company to enhance brand image and improve customer experience. This element of the marketing mix shows an expanding reach to the global computer hardware and software market, thereby supporting efforts to capture every person as a customer, as highlighted in Microsoft’s vision statement and mission statement. Microsoft’s biggest promotion expense is on advertising, such as the “Women Made” Super Bowl ad, which enhances the company’s corporate image. In sales promotions, the firm uses discounts and other incentives to attract customers. For example, students and military personnel and veterans can purchase the company’s products at discounted prices. On the other hand, the company uses direct marketing for sales deals with organizations, such as academic institutions. In personal selling, Microsoft Store sales personnel present products and their features to potential buyers. While the discounts for military personnel also function as a public relations tactic, the company’s main public relations strategy is implemented through Microsoft Philanthropies. Donations and related activities are executed through this philanthropic arm. For example, the company donates computer hardware and software products to nonprofit organizations and provides financial support for programs that help at-risk youth. In this element of Microsoft’s marketing mix, advertising is the most important determinant of the company’s effectiveness in communicating with the target market, and the other strategies and tactics satisfy stakeholders (Read: Microsoft’s Corporate Social Responsibility & Stakeholders). In the market-oriented pricing strategy, Microsoft sets the prices of many of its products, based on market factors, such as competitors’ pricing and consumer demand. The company also uses the freemium pricing strategy, which involves offering a product for free, and requiring payment for additional functionality or features. For example, the Office 365 cloud productivity suite is free to use on devices with a maximum screen size of 10 inches. Payment is required to use the suite on larger devices. This pricing strategy is advantageous because it allows customers to try Office 365 free of charge, enabling the company to show the benefits of using the products in the suite. Moreover, Microsoft applies the “buy only what you use” pricing strategy for cloud services. This strategy involves fees based on how much the customer actually uses, instead of fees per device. The advantage of this pricing strategy is its ability to attract customers concerned about extra charges in using multiple computing devices. Thus, this element of the marketing mix shows that Microsoft has been reforming its pricing strategies to address changes in the computer hardware and software market, especially amid competition with other technology firms. Clancy, H. (2015). Why Microsoft’s ‘buy only what you use’ pricing strategy is a big deal. Fortune. Microsoft Philanthropies – Empowerment Begins With Inclusion. Military and Veterans Discount Program – Microsoft Store. Special Offer for Students – Microsoft Education.